A call center is a centralized department where phone calls from existing and potential customers are directed. Call centers can handle inbound and/or outbound type of calls. They can be located within the company or outsourced to another company who specializes in handling calls. 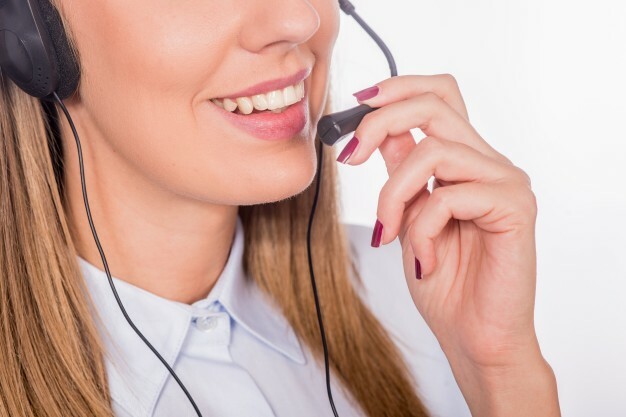 We don’t much like the term Call Center though, as our centers perform so much more, such as Search Engine Optimization, Digital Marketing, Marketplace Management, Virtual Assistants, Data Entry, Social Media Management, and so on. When people think call center, its often just Telemarketing. airisX has several business service centers throughout the Philippines and globally. Our various centers in the Philippines, Mexico, China, and elsewhere allow us to provide native language support in English, Spanish, French, Arabic, and Cantonese and Mandarin Chinese. Our secure centers boast 24×7 management, redundant power and Internet, on-site IT and support, as well as CCTV monitoring. airisX focuses our attention on real employee satisfaction and career growth, instead of fancy offices and flashy parties. We consistently hire staff away from other firms due to our commitment to real solutions and service, instead of expensive superfluous extras that our employees don’t care about. Additionally, our agents are full time employees, not contractors, meaning they participate in all the health care, tax contributions, and other benefits of a full time employee in their country of operation. We hire employees that live and breath our mission statement: Good service at a fair price. This all leads to airisX having low turnover and high employee satisfaction across all our facilities. airisX Virtual Assistants can manage your schedule, book your meetings, check and manage your emails, provide marketing support, handle your payrolls, and act as sales support. Bookkeepers from airisX can do accounting tasks, can manage your financial needs, and generate accurate reports. Your content writers can write clear marketing copy to promote your products and services, prepare drafts, engage with marketing and design teams to illustrate articles, submit their work to editors for approval, promote your products and services on social media, update your website content, identify your customer’s needs to find the gap and suggest improvements, and conduct simple keyword search on SEOs to increase your web traffic. Your Graphic Designers create designs, concepts, and sample layouts based on knowledge of principles and esthetic design concepts, generate new images for your products and services, create your company logo, and product design. Web designers from airisX can boost your company by categorizing content to develop your website navigation, register your site on search engines, upgrade your site by updating content and graphics, protect your website by installing security precautions, coordinate with content writers to ensure content is always fresh, and provide information by collecting, analyzing, and summarizing data and trends. Mobile app developers support the entire application cycle, including concept, design, test, release, and support, producing fully functional mobile apps for your business. They troubleshoot and debug your mobile app for maximum performance, design interfaces to improve user experience, ensures that the applications meet quality standards, and ensures that your app will stay up to date with technology trends. airisX Technical Writers assist you in laying out materials for publication, organize material and complete the writings assigned to them according to your set standards, make changes to the materials prepared by other writers or personnel, review published materials, and recommend revisions whenever it is needed. They select appropriate materials, drawings, sketches, charts, and diagrams to illustrate materials, and analyze developments in specific field to determine need for revisions. Your Data Specialist will compile, sort, and prepare documents for data entry, check the source of the document for safety, ensures complete data within documents, update data and delete unnecessary files, transcribe data into required electronic format, ensures data accuracy, store completed documents in designated secured locations, and comply with data integrity and security policies. airisX offers many more services than the ones mentioned above to meet your company’s needs. There are far more benefits to outsourcing than just the cost savings. Utilizing airisX for your needs, you can access dedicated staff members that are accessible, friendly, and excited to work with you. Additionally, in the event you need quick projects completed or just access to specialists on demand, you can do so under a single solution via the airisX Task service to expand your capabilities.